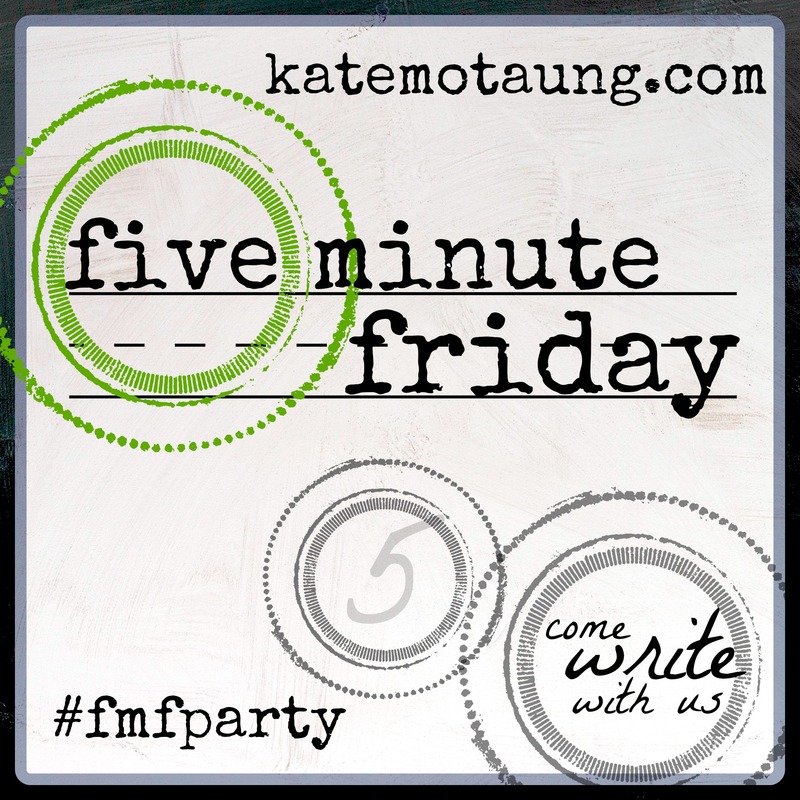 Life Outside the Shell: 5 Minute Friday: When?! It's been a while since I've joined in on the 5 Minute Friday fun! If you aren't familiar with it, each Friday there is a new word given and you get 5 minutes to write on that with no editing, just writing and sharing what God immediately puts on your heart. Today's word is "WHEN". When I saw the word I kind of chuckled because God has already been speaking to me so much about this word lately. The first thought that comes into my head is how many times God must hear his people cry out "WHEN God, WHEN??!!" There is not one person alive who has not struggled with wanting something now. We don't want to wait on God's timing. It's much like a toddler who wants the piece of candy now rather than waiting until he has eaten all his vegetables. If he would just finish his veggies promptly, and not throw a fit, he would receive his candy. However, when the toddler chooses to lay down throw a fit and demand the candy NOW, he created a very prolonged process in receiving his candy. The candy still exists but mom or dad chose to wait to give it to the child when he has calmed down, can follow instructions and be grateful for the candy. I have definitely thrown my fair share of fits when my "when" didn't line up with God's "when". You see, much like that toddler needing something healthy before he eats in candy, God knows we need to be in a place of being full on the right things before he can entrust some things to us. Have you been praying for that dream job, house, car or spouse? Begging and pleading for God to have it NOW will prolong the process of receiving it because we simply aren't ready for that responsibility if we aren't able to follow simple rules from God and wait on Him. I wish I could say this is a principle I have mastered but every time I find myself in the restless mode of wanting something I feel God remind me to be still and wait on Him. 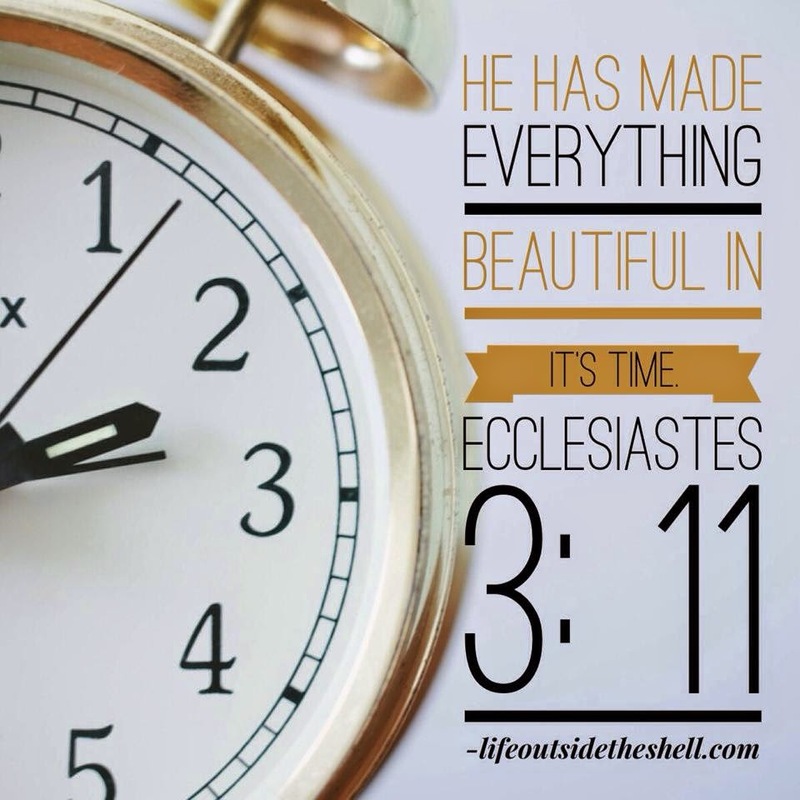 Just as Ecclesiastes 3:11 reminds us that He makes everything beautiful in it's time. Trust God with the timing today and give your "when" to him! I love that scripture too! Man is this five minute thing hard to get it all in! :) Thanks for stopping by! I'm so thankful for our awesome God that knows. I know He knows the plan, He has the answers and He is good in all. Blessings! Coming by from FMF! Rachael, what a beautiful and true post! I've struggled with When more times than I care to admit. Every time I yield to His timing, I find (shocker) that His timing is always better than mine. ;) I love how you pointed out that when we're striving with Him we're not ready for the responsibility of that which we want. Such a great truth! I love reading your blog! I actually read your blog about the 4 needs of a man from the Managing your Blessings blog. You mentioned you also had one about the 4 needs of a woman. I was wondering if/when you had posted it? I would LOVE to read it!! Thank you Alyssa! I did write one on the 4 needs of a woman and forgot to edit/publish it...thank you for the reminder, I will do that soon!! :) Thanks for following!